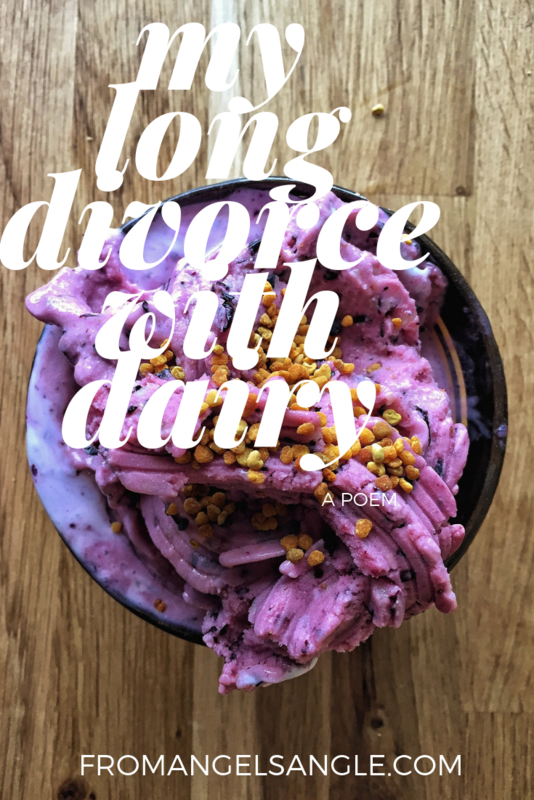 I love Dairy, but he doesn’t love me back. No matter how much I try to involve him in my life, he always gives me trouble. He causes me stomach pain. He gives me cystic acne on my chin. I try to spend time with him on all-inclusive vacations at the buffet. Even if I choose yogurt, he doesn’t like me. I try to bring him to the morning meeting at my company in the form of cream cheese and he turns his back on me. I even try to bring him to the ice cream shop to spend time with my son and he still gives me a hard time! 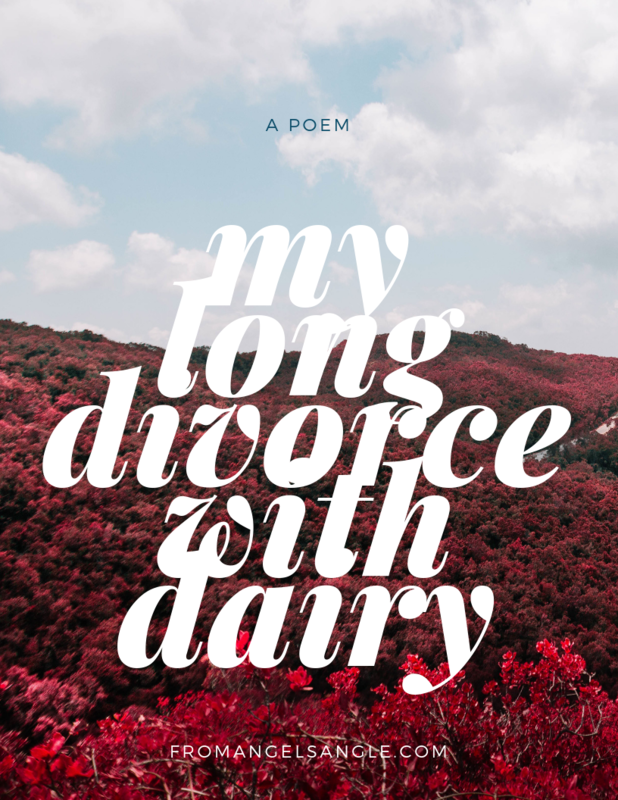 I’ve decided that it is time to get a divorce, Dairy and I have been separated for quite sometime and life is better without him. Dairy, I don’t love you no mo’.